What was Seoul like in 2014 in your eyes? Dynamic and vibrant Myeong-dong, the beautiful night scene of the Hangang (River), friendly people, etc. We hope you enjoy and remember Seoul in different ways, but all of it combined makes up the image of the future Seoul. 2014 Seoul Kimchi Making & Sharing Festival will be held here in Seoul November 14~16, 2014. Anticipating the day that it will become a global festival, we present you with this special mission. 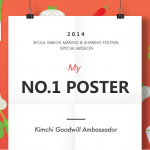 The second mission will be conducted under the theme ‘2014 Seoul Kimchi Making & Sharing Festival, My No. 1 Poster: Made by 192 Global Seoul-Mates.’ Each person must create his/her own unique promotional poster that fulfills the criteria listed below. 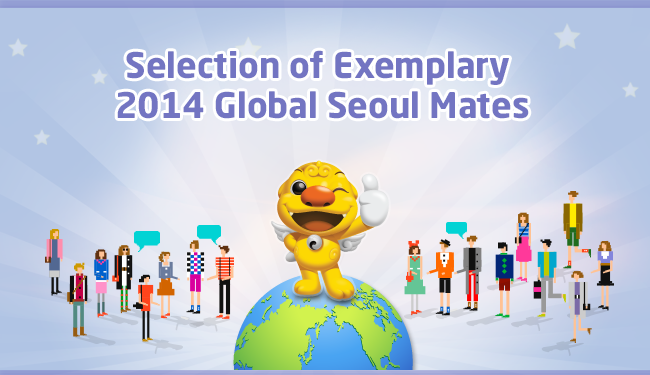 Which lucky Global Seoul-Mates will be awarded the honor of Excellent Entry? We would like to sincerely thank all those who participated in “COLLAGE SEOUL!” the first mission of the 2014 Global Seoul Mate program. Thanks to your enthusiastic participation and passion, the first mission has come to a successful close. Seoul Metropolitan City considers each and every one of your postings to be a valuable asset. Among them, several were selected for their creative and moving content. Welcome, Global Seoul-Mates! Finally, it’s time to begin your activities as Global Seoul-Mates. It’s exciting to think about making new friends. Where are you now? We want to know more about you, since you are all living in different places around the world. Please introduce yourselves to us. And create an artistic and sensational “SEOUL” by putting together small images of the communities to which you belong. 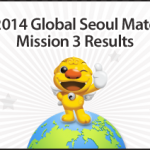 The first mission for Global Seoul-Mates! We sincerely hope that you actively participate.